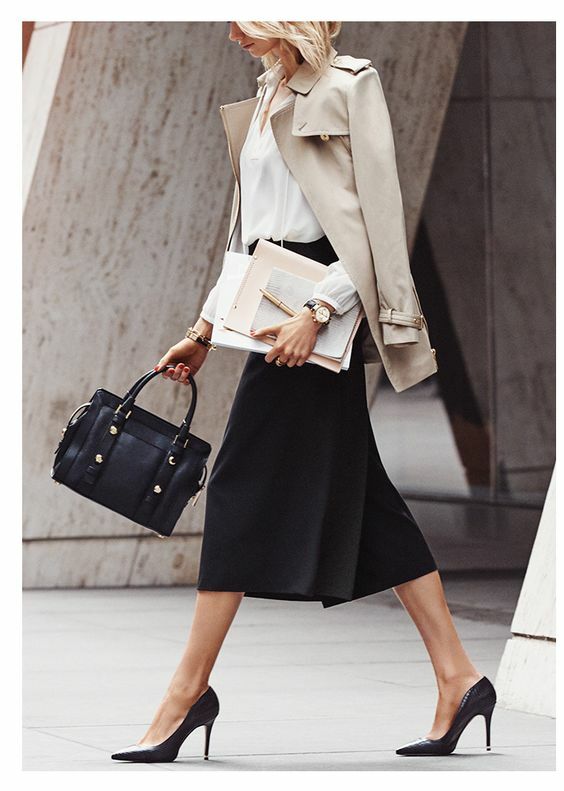 Being chic at work takes up your energy & time. Not only do you are compelled to compete with the rich kid in the office, but you also feel the need to keep up-to-date with the latest trends. All while trying to live your life and not going broke in the process. While a big part of the planning your Monday-to-Friday wardrobe is putting together your outfits. Another part is choosing those work-friendly accessories that add flair to your outfits. After all, it is the little things that count and having the right accessories within reach can make all the difference. Before we get starting, here is the first trick. Try to pick out everything you want to wear before you go to bed. I am sure you have heard of meal prep, think of this as fashion prep and it will give you a few extra minutes to sleep in. Since Mondays can be a drag, why not walk in with a little extra flair? Your jacket and pants combination can still be all business – just add a unique dress watch that has that little something extra. Mechanical watches with modern design twists have become all the rage, and the wristwatch has always been a classic and work-friendly accessory that lets the real you shine through the humdrum of the monotonous Monday. Now it is time to mix and match that suit selection from Monday. Maybe is the suit you wore the previous week, or it is something new that you are dying to try out. One work-friendly accessory which will help you accentuate your selection is a great handbag. Lucky for you it looks like almost everything is in this season, from backpacks to buckets. If you really want to stand out then go for a animal print tote. When done right, it is will your selection the right balance of glamour and sophistication to help you stand out from the crowd. Half full or half empty? Either way, you look at it, the work week is almost over and it is time to let begin break loose. Footloose that is. With fall just around the corner, what better opportunity to break out your boots. In this case, you should go for elegant black boots. They are simple and easy to team with just about any work look. Sure, Casual Friday’s started on Friday. But the workplace is much more casual today than it was 20-years-ago. Break out your jeans and a great top and then mix is up by donning a pair of mismatched earrings. You don’t need to be a trust fund kid to keep in style. Just raid your jewelry box for that half pair of earrings that you always loved. Then mix, match, and away you go. If you can’t find any orphaned earrings, then go for an oversized look. Friday is just around the corner and it is time to let your hair down. Yeah, Friday is here. All you need to do is clean off your desk and then get ready to hit the town. I mean, who want to wait until Saturday. In this way, you need something for work with can be easily translated into a night out with the girls or a date with that someone special. Either way, you should look for something with is work appropriate, but also lets everyone know who you are. Ok, we can’t all afford a Birkin, but if you need to have one (or 10) item in your closet from Hermès, then is should be a cashmere shawl. They are so silky and so smooth that you will swear that you are in a cocoon. Granted it is Hermès and not Filene’s Basement. So, it will be expensive. But every woman deserves at least uber-luxurious item in the closet. So, skip the bags (they are overpriced) and forget the shoes (well, just this time around). Go for a shawl and you will have it for decades. Disclosure: This post is provided by guest author.